Good news about Henk Brouwers artwork! Thanks to the good observation of Museum Bronbeek 27 beautiful drawings of Henk Brouwer have been discovered! Brouwer produced them in 1947 on request of the Dutch naval preacher Siebren Oegema, who wrote down his war experiences in the Dutch East Indies in a manuscript. Unfortunately the manuscript was never published, but it was securely kept, together with Brouwers drawings, in the archives of the NIMH, the Dutch Institute for Military History. 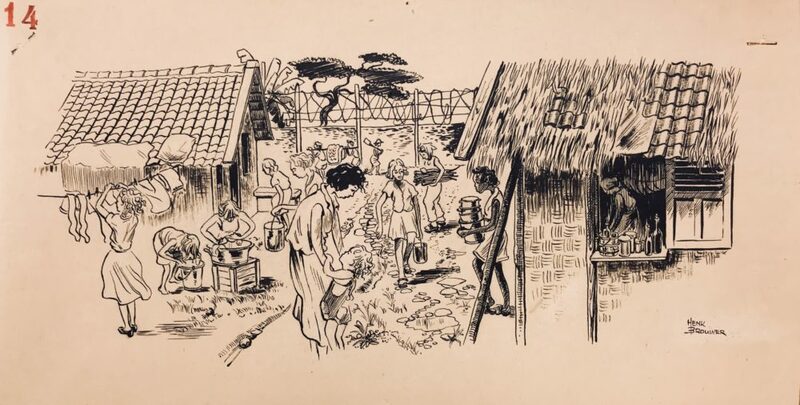 The drawings illlustrate the bitter story of Siebren Oegema’s war years on Java, where he suffered severely from the cruelties of the Japanese occupier. 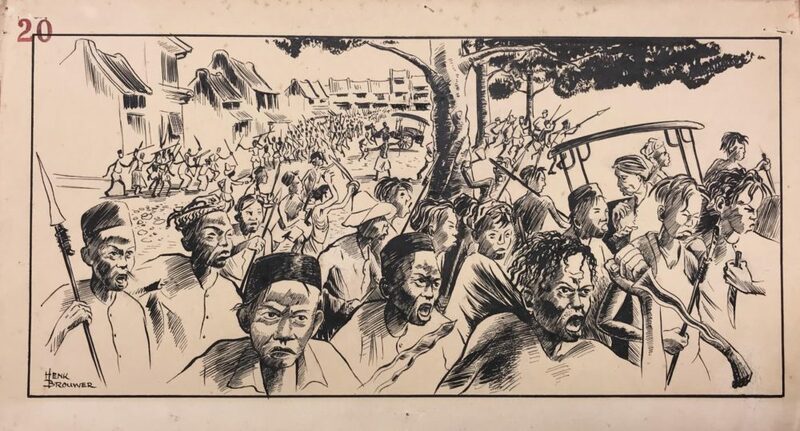 Together the manuscript and the drawings give a shrill testimony of what people had to endure, not only under the Japanese occupation but during the Indonesian struggle for independance as well. We will present the drawings in the Bronbeek exhibition, but here’s a little foretaste.